If you’re like many of our clients you want to lose some weight but no matter what you do or how hard you diet you just can’t seem to shift those pounds. In many cases even if you have managed to lose some weight, you have probably regained more than when you started? Unfortunately as you get older it becomes harder and harder to lose weight, especially if you have dieted many times before. As you get into your 40’s and 50’s your body just can’t take the same abuse as it could when you were in your 20’s which means those crazy diets or exercise plans just won’t work now. 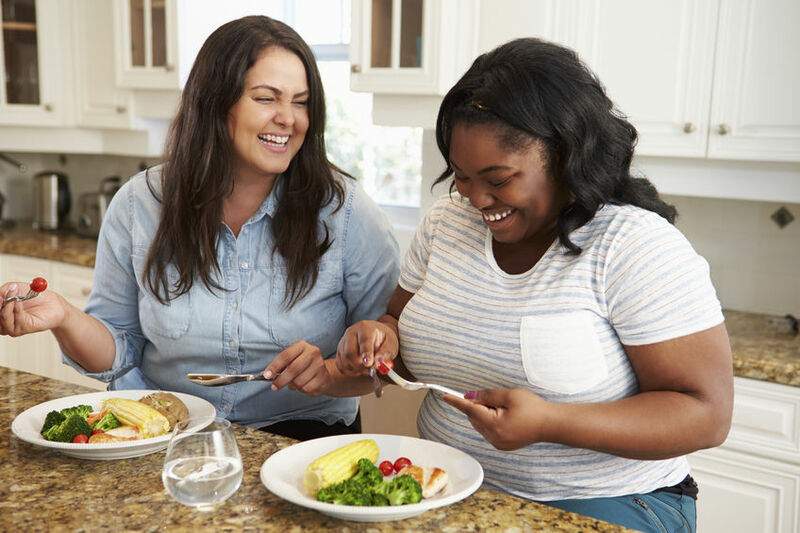 We completely understand how frustrating it is for you and how you’re weight might make you feel, but don’t worry all is not lost and we’ll tell you why a little later. If you’ve tried to lose weight before the chances that you’ve followed various different diet plans is quite high. The problem with most diet plans is that they restrict calories as the first step and all this does is makes you focus more on the things you can’t have. The next mistake most diet plans do is fail to get you eating an abundance of nutrients but instead allow you to eat junk just because it fits in with their points system or within you “calorie budget”. Ultimately this approach puts your body in a nutrient deficit as well as a calorie deficit which will end up affecting many important processes within your body and making you feel like crap. Exercise is great for your body and there are so many health benefits to doing it. However when it comes to losing body fat some exercise is better than others. Unfortunately this is where most people get it wrong. Most people who want to lose weight spend hours each week doing cardiovascular exercise (walking, running, cross trainer, swimming or cycling). The problem is, it’s just not that effective. Instead most of our clients see far better results after switching to more resistance training (weights) despite their initial fears that they will become “hench” or “bulky”. How many diets or weight loss groups have you tried? Did any of them at any point ask you about your stress, lifestyle, sleep or digestion? Probably not, but these factors have to be considered if you want to successfully lose weight. The amount of stress you are under and the quality of your sleep is directly related to a hormone called Cortisol which plays a huge role in the storage of body fat, especially around the belly area. Not only this but stress and poor sleep will both put you at risk of making poor food choices which will affect your blood sugar levels which will then cause you to gain more fat. Your digestion is also a key component to consider when trying to lose weight. A poorly functioning digestive system will make you look bloated, will affect what nutrients can be absorbed and will also contribute to an increase production of that stress hormone, cortisol. We believe that in order to lose body fat you need to take a whole body approach. Everything must be considered including, hormones, stress, sleep, digestion, nutrition and exercise, rather than just trying the same eat less, exercise more approach that everyone else takes. When we work with clients who want to lose weight we take them through our weight loss formula which consists of a mixture of our new weight loss group, personal training and nutrition & lifestyle coaching. Accountability and guidance is what most people need help with when it comes to losing weight. This is why we have created out Weight Loss Group to help people come together and be guided through the process. We meet once a week, weigh you, measure you and help you with any questions or issues you may have. We work with you to help you develop consistency and help you get to the bottom of any struggles you may be facing. Click here to find out more about the weight loss group. When most people become serious about losing weight they go to a personal trainer. Personal training allows you to accelerate the results you achieve because you’re working with a coach who has the knowledge and experience you need. At Precision Wellbeing our aim with our personal training is not only to get you results through the training you do with us, but also to educate and coach you. It is important to us that you can not only execute a technique with perfect from but you can understand the reasons why you are doing what you are doing and not just going through the motions. This will then empower you to continue your training in between your coaching sessions and therefore get some amazing results. Exercise is only one component of a weight loss journey and without solid nutritional knowledge and lifestyle modifications it will be slow progress. This is why we suggest working with one of our nutritional coaches; our dietitian, naturopath or functional medicine practitioner. 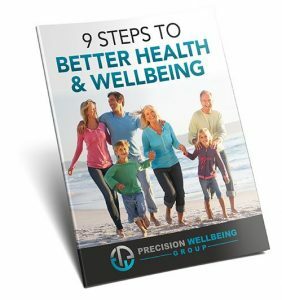 Each practitioner will be able to advise you on your nutrition as well as improving your stress, sleep, digestion, hormone levels and much more. If you would like to work with us to help you lose weight then drop us a message below and we can arrange a free 30 minute consultation. During the consultation we will be able to establish the best course of action for you and create your own unique plan of action.